Carson volunteered to deliver the application to the post office in Fort Meade, and on the way changed the name from Lakemont to Frostproof, which was approved. Overocker, to his surprise, was appointed the postmaster of Frostproof. The early post office was located on the corner of Wall St. and Carson Ave. After many delays, Frostproof first received rail service in 1912. Frostproof is located between two lakes: Lake Clinch and Lake Reedy. According to the United States Census Bureau, the city has a total area of 2.5 square miles (6.5 km2), all land. 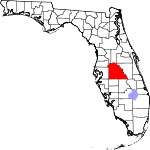 Frostproof is located within the Central Florida Highlands area of the Atlantic coastal plain with a terrain consisting of flatland interspersed with gently rolling hills. Frostproof is located in the humid subtropical zone, as designated by (Köppen climate classification: Cfa). As of the census of 2000, there were 2,975 people, 1,119 households, and 792 families residing in the city. The population density was 1,196.8 inhabitants per square mile (461.3/km²). There were 1,504 housing units at an average density of 605.0 per square mile (233.2/km²). The racial makeup of the city was 78.22% White, 3.90% African American, 0.84% Native American, 0.07% Asian, 0.07% Pacific Islander, 14.35% from other races, and 2.55% from two or more races. Hispanic or Latino of any race were 21.65% of the population. There were 1,119 households out of which 29.7% had children under the age of 18 living with them, 52.0% were married couples living together, 13.8% had a female householder with no husband present, and 29.2% were non-families. 24.4% of all households were made up of individuals and 14.8% had someone living alone who was 65 years of age or older. The average household size was 2.66 and the average family size was 3.11. In the city, the population was spread out with 26.7% under the age of 18, 11.2% from 18 to 24, 23.6% from 25 to 44, 20.5% from 45 to 64, and 18.1% who were 65 years of age or older. The median age was 35 years. For every 100 females, there were 101.7 males. For every 100 females age 18 and over, there were 98.5 males. The median income for a household in the city was $30,412, and the median income for a family was $33,707. Males had a median income of $27,234 versus $18,273 for females. The per capita income for the city was $15,396. About 14.7% of families and 16.8% of the population were below the poverty line, including 21.1% of those under age 18 and 9.0% of those age 65 or over. Frostproof is home to the Latt Maxcy Corporation and Ben Hill Griffin, Inc., both members of the agricultural cooperative Florida's Natural. The city has a weekly newspaper, the Frostproof News. The Ledger, based in Lakeland, is the most popular daily newspaper. While there are no television stations located in Frostproof, broadcast signals from Tampa Bay and Orlando area television stations are available. Most cable and satellite providers offer Tampa Bay and Orlando area stations. The Frostproof Community Website is updated regularly. Frostproof is mentioned in the movie Identity as the hometown of Amanda Peet's character. Frostproof is the location where Abraham Shakespeare bought a 30 Million dollar lottery ticket which tragically led to events which ended with his murder. US 27 - A four-lane divided highway running north/south just west of town, also leading northward to Lake Wales, and southward to Sebring. US 98 - Running west from US 27, this road leads to Ft. Meade and eventually to Bartow and Lakeland. Southbound, it is co-signed with US 27. ^ a b "City Council Members". City of Frostproof. Retrieved September 5, 2016. ^ "City Manager". City of Frostproof. Retrieved September 5, 2016. ^ "History of Frostproof" (PDF). Polk County Historical Association. December 2003. p. 6. Archived from the original (PDF) on July 27, 2011. Retrieved September 26, 2010. ^ a b "CES" (PDF). Polk County Historical Association. December 2003. p. 1. Archived from the original (PDF) on July 27, 2011. Retrieved September 25, 2010. ^ frostproof.net. "Frostproof Florida History". Frostproof.net. Retrieved September 5, 2016. ^ "Frostproof Rail Station" (PDF). Polk County Historical Association. March 1978. p. 7. Archived from the original (PDF) on July 27, 2011. Retrieved September 25, 2010. ^ "Travis Henry, RB at NFL.com". nfl.com. Retrieved June 6, 2011. ^ "Guide to Polk". The Ledger. November 21, 2008. This page was last edited on 28 January 2019, at 19:20 (UTC).